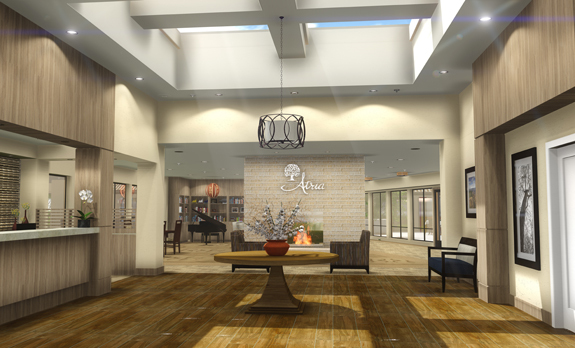 The expansive renovation for this senior living community re-envisioned lobbies, dining rooms, salon, cinema, engaged life center, bistro, memory care, patios, entries, hallways, and support spaces. From design, to permitting, construction documents, and furnishings, Moniz Architecture planned for the new vision and special needs. The five wing facility is 160,000 square feet of one- and two-story buildings.